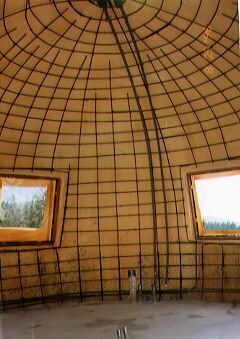 Once the floor had cured, rebar was attached to the shell using the rebar hangers. Electrical conduits were also installed. 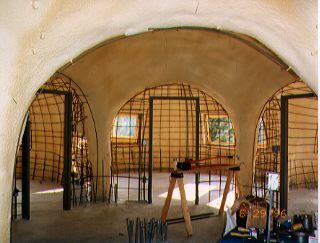 The shell rebar defined the walls between domes and incorporated the door frames. 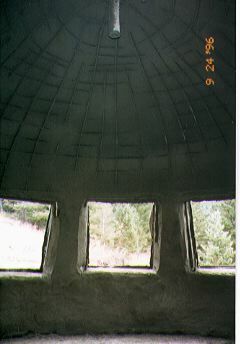 Once all the shell rebar was in place, concrete was placed on the shell using the wet shotcrete method. 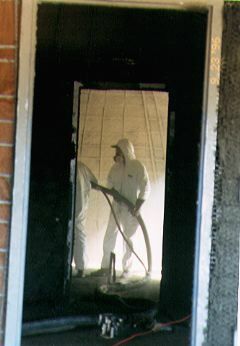 This is what the walls looked like after about 2 inches of shotcrete was applied. 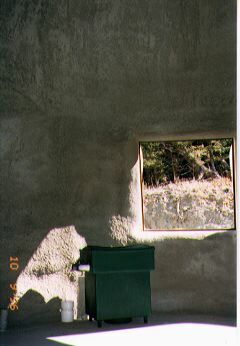 The completed walls consist of 3 to 5 inches of shotcrete.